The Power Of Trim Molding! 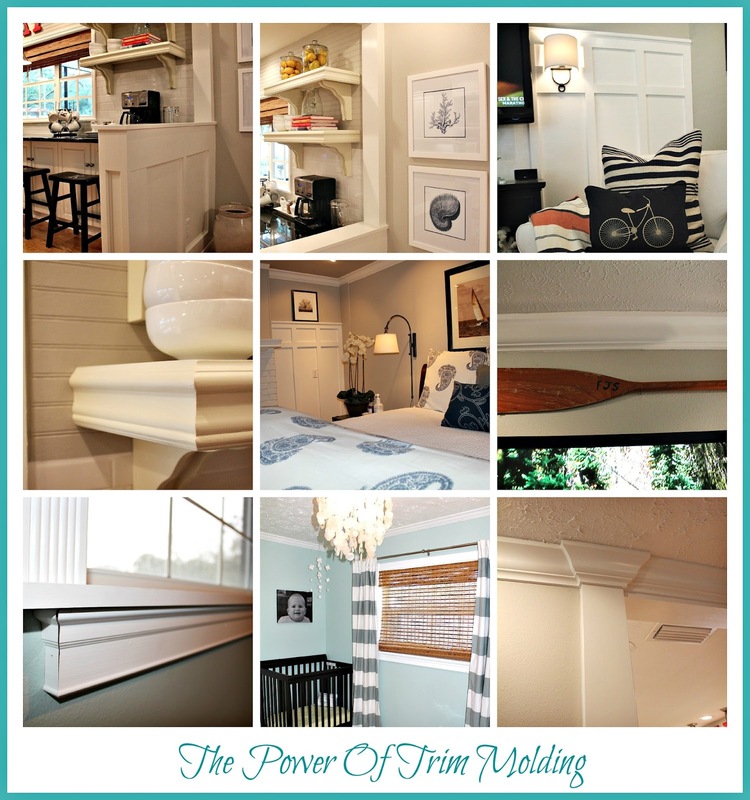 The Daily Nest: The Power Of Trim Molding! The Power Of Trim Molding! If you ever walk into a room and are in awe of it's beauty, chances are it has extensive trim molding. Trim molding takes a boring, basic room to a room that has character, and attitude. 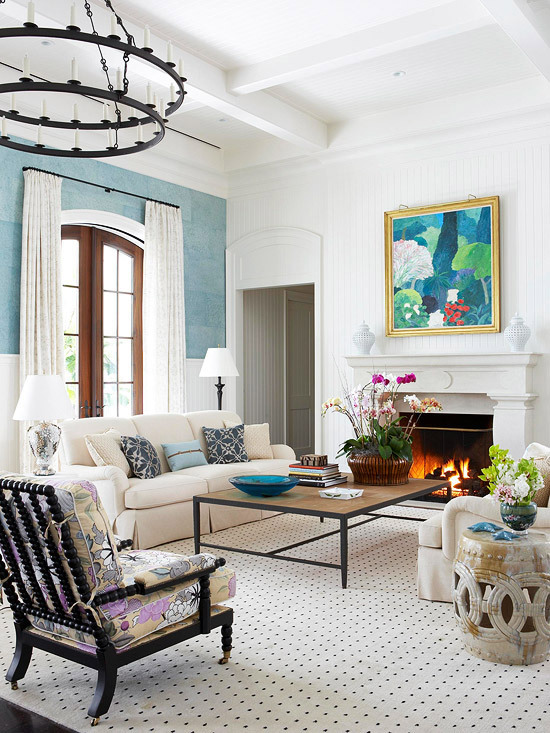 I once heard that trim molding isn't something that you notice right away, but it's a feeling that it gives a room. Our home was no different a long time ago. We had very basic molding. No wainscoting. None of the windows were trimmed out. Basic baseboards. And certainly no architectural features such as board and batten or bead board. Through the years we have slowly, but surely transformed all our rooms with trim molding in one way or another. One of the easiest ways to upgrade a room is to beef up all the moldings in your home. Adding width, depth and height to the trim. But don't worry about closing the room in. The increased framing will add depth to the walls. And if you are worried about it closing in your room. Paint the walls and trim the same color. Only paint the trim in a semi-gloss. Baseboards, Casings, Crown Molding and other finishing touches are like the cherry on top of a delicious sundae! And the difference that it will add to your room is undeniable and truly POWERFUL! !